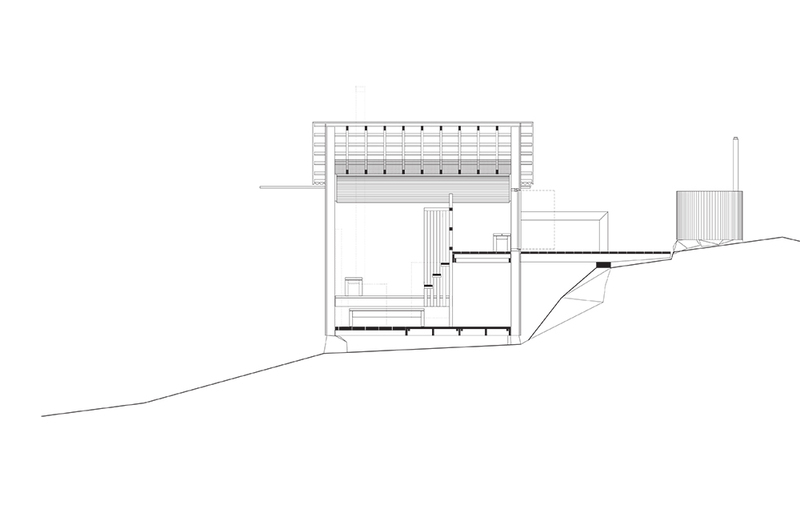 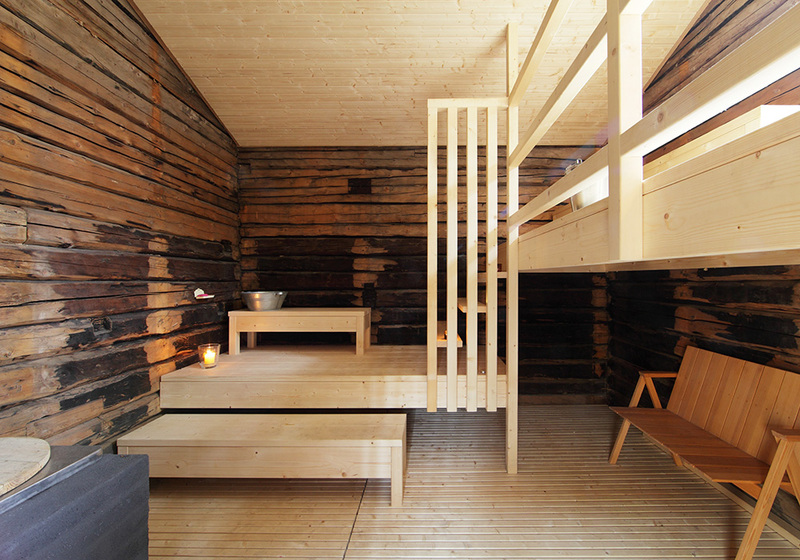 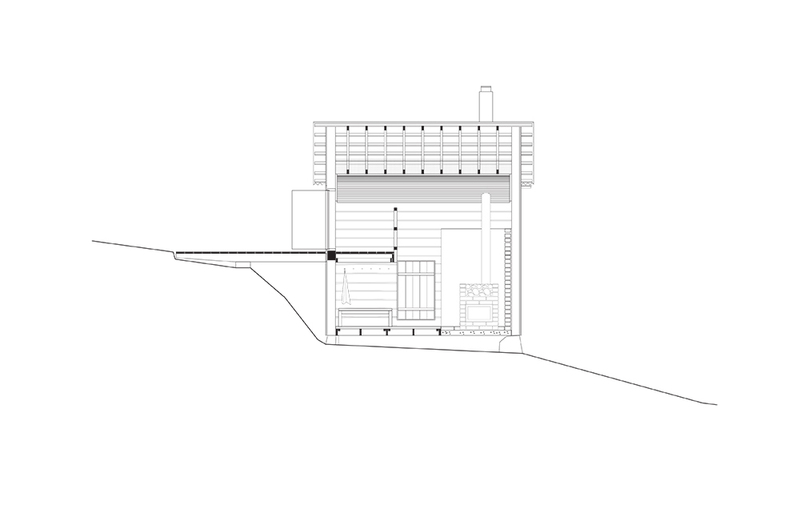 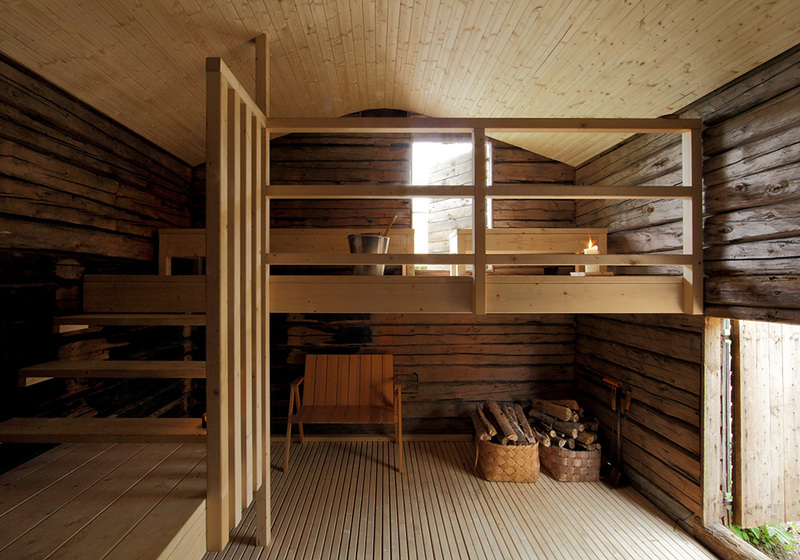 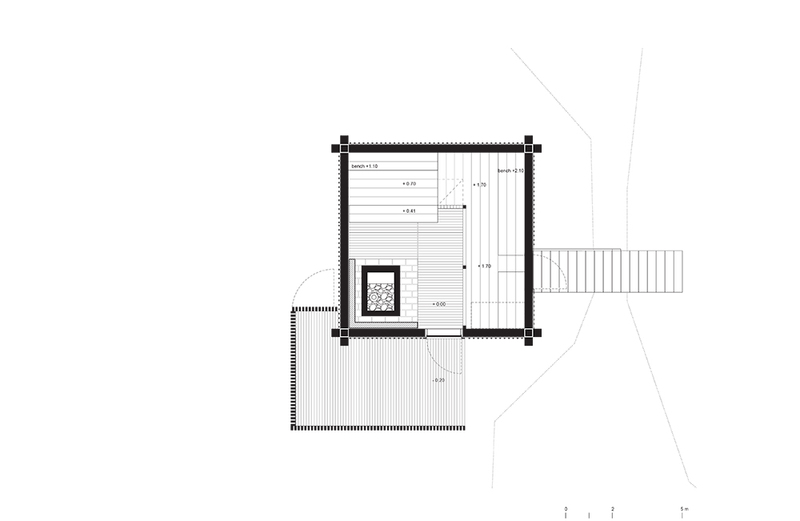 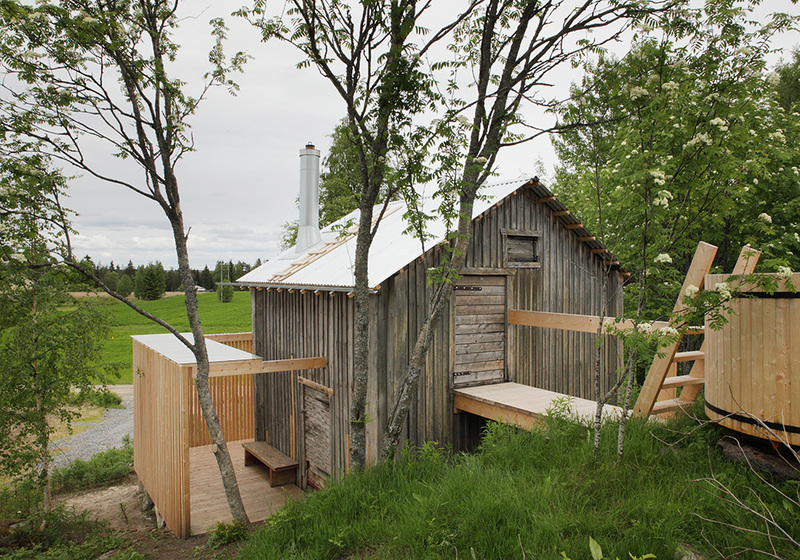 The sauna, designed by Anssi Lassila, is located on top of a rock outcropping that rises 200 meters above sea level. 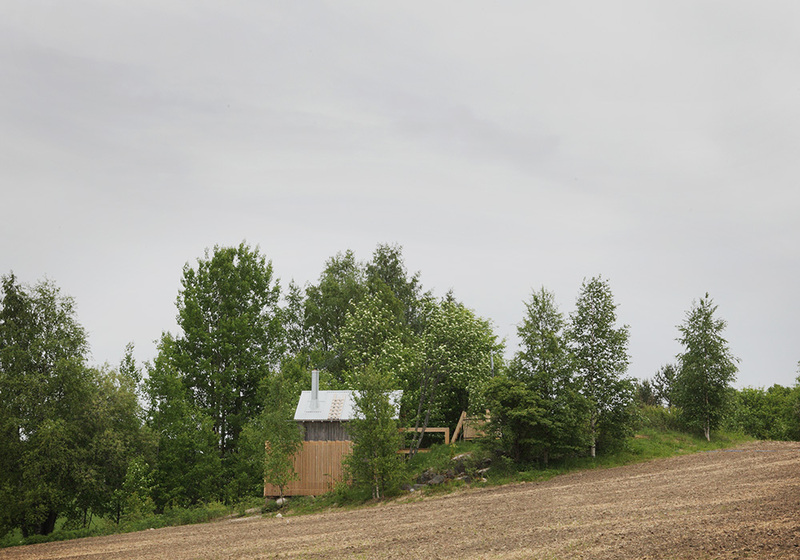 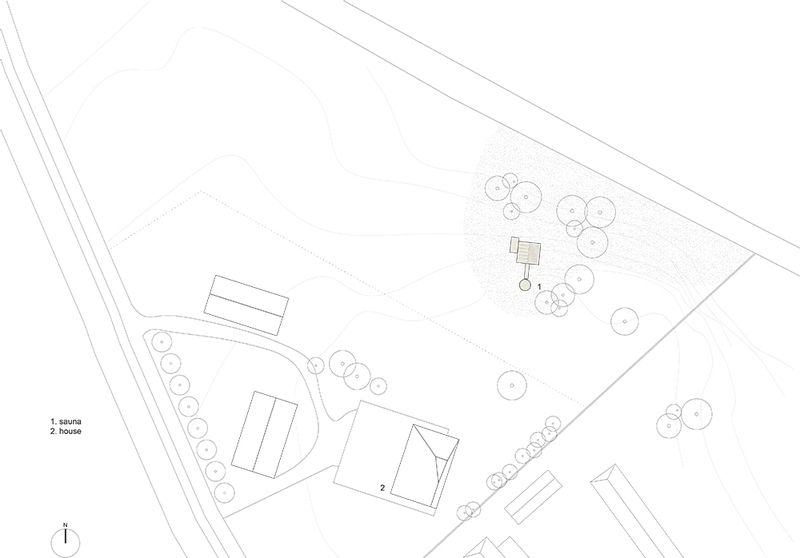 It is reachable by a cornfield path leading to a sheltered terrace. 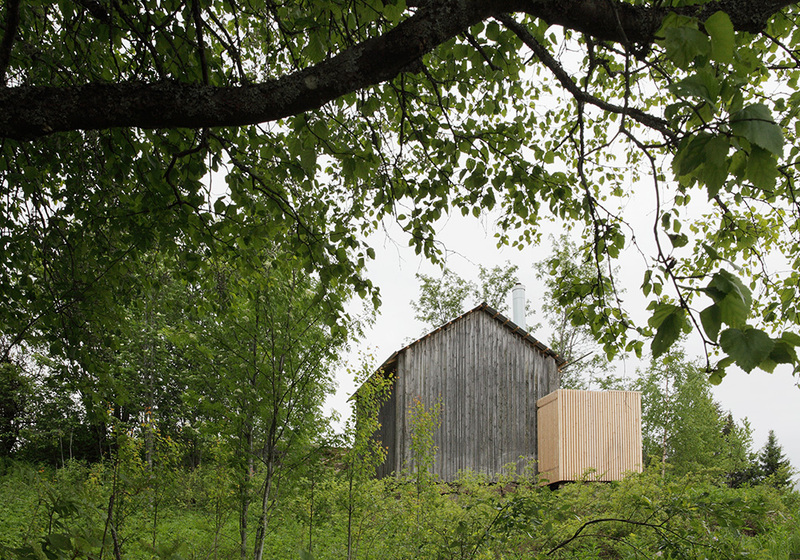 This kind of a journey has traditionally been part of the purification process in preparation for the sauna. 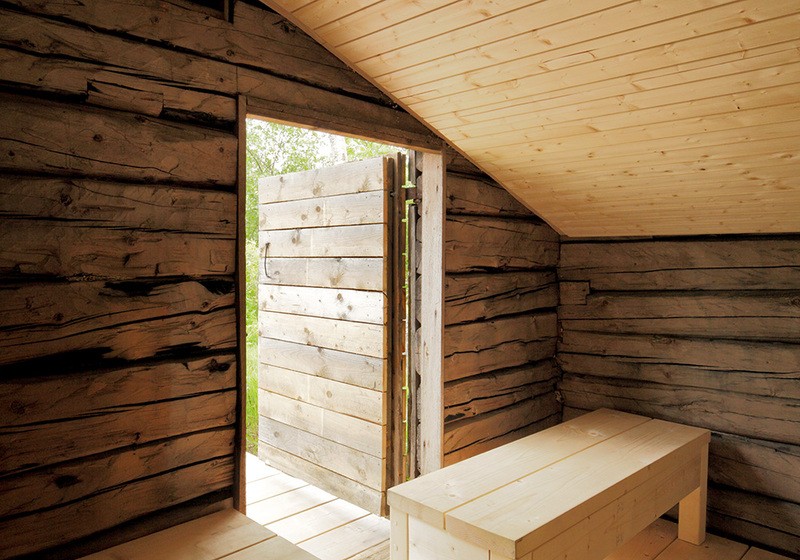 The sauna structure itself is an adaptive reuse of a 19th-century granary, later used as a barn and moved to its present site in the 1940s. 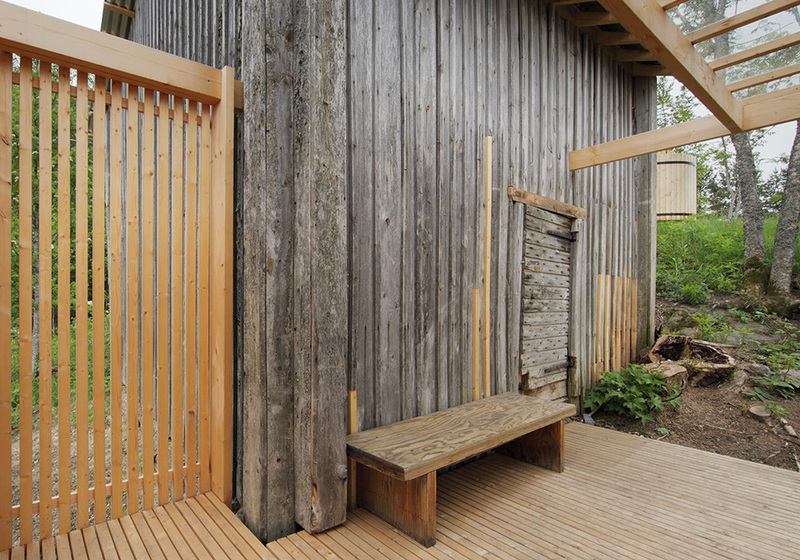 In 2010, the existing building was renovated and the original building materials were maintained where possible; rotten logs were repaired and worn out cladding replaced. 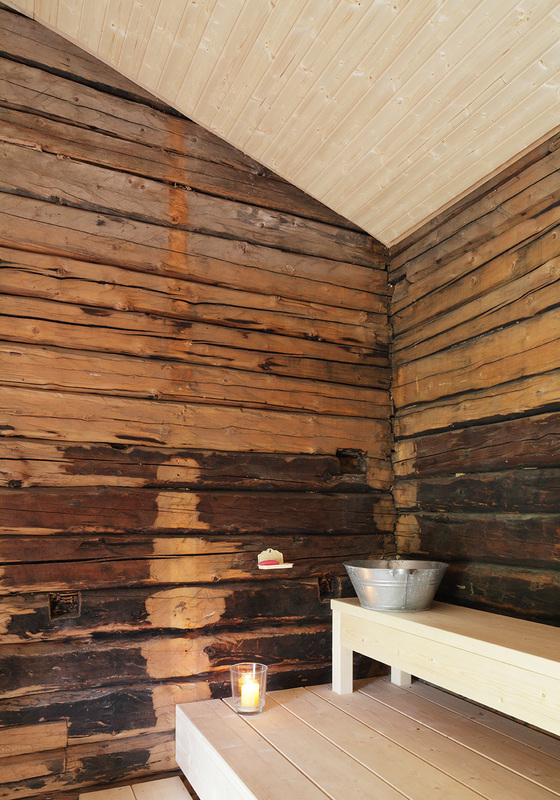 New surfaces are made of spruce which with its light honey-colour now stands in contrast to the distressed surfaces of old logs. 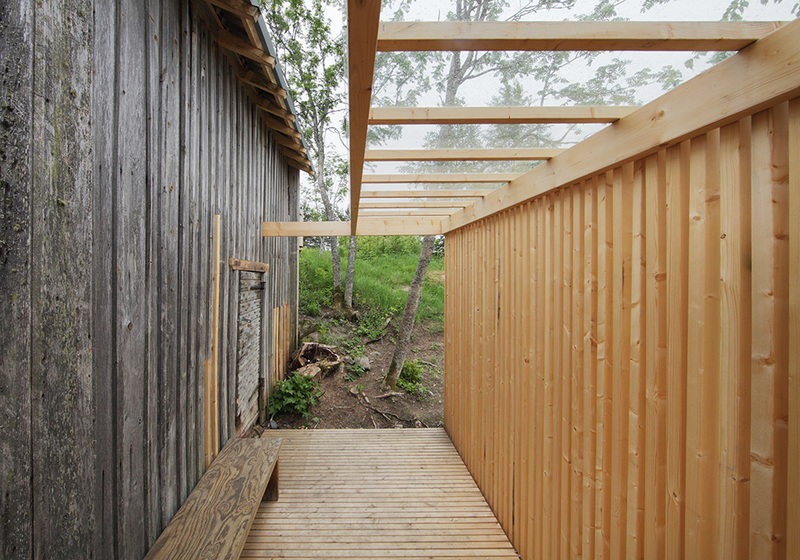 However, they will turn gray over time and the contrast between the original parts and the new parts will gradually fade. 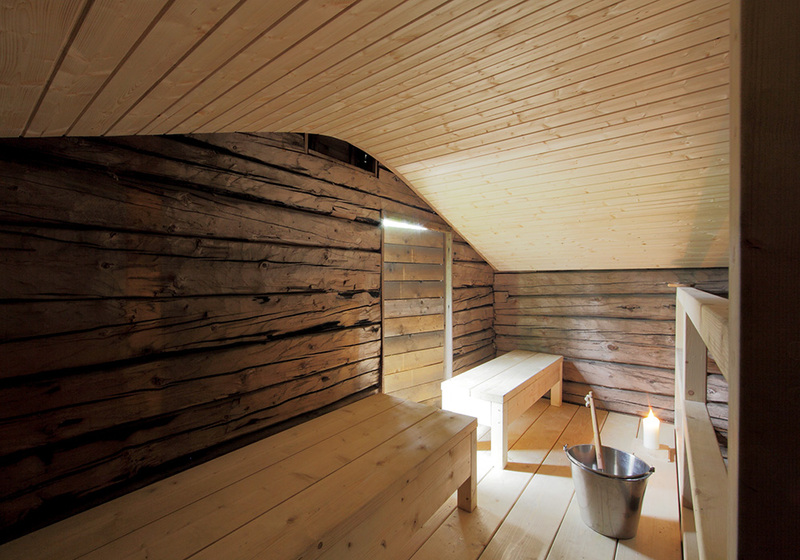 All sauna activities, including steaming, washing, and relaxing, are distributed vertically within the tall space to achieve a suitable temperature for each. 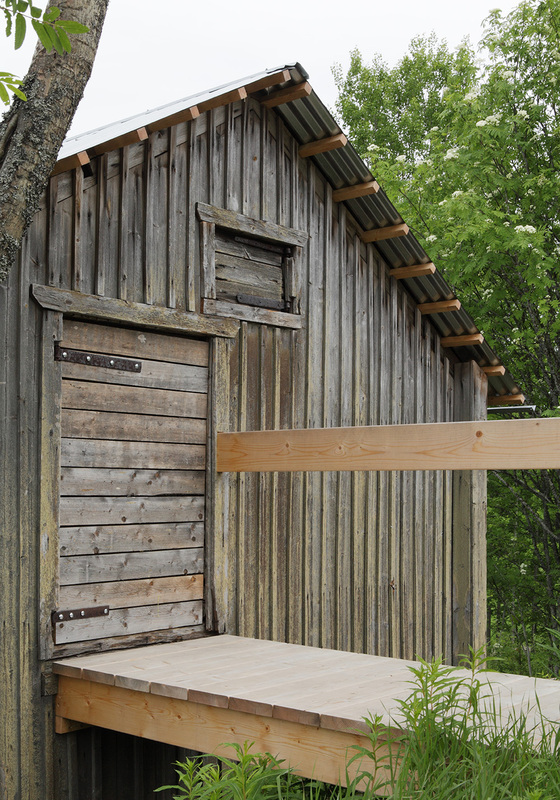 From the top sauna bench, the sauna bather can access a bridge connecting to a large wooden outdoor bathtub. 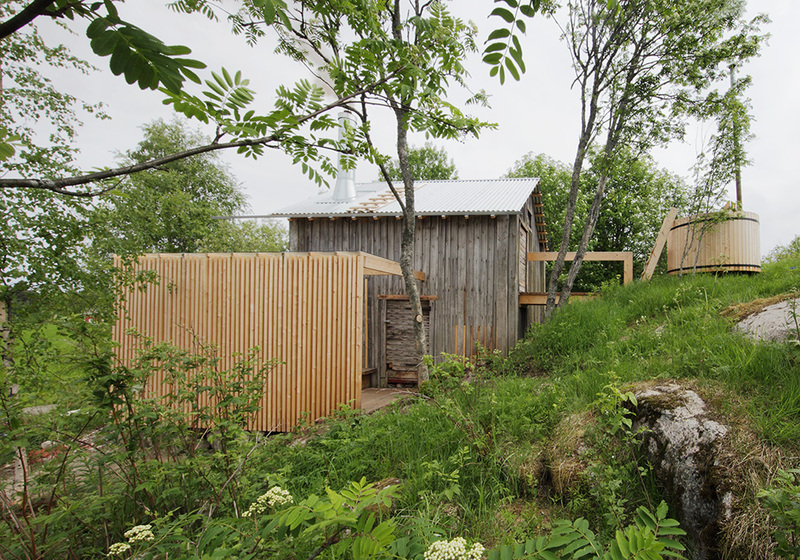 A terrace with a slat structure blends in with the surrounding landscape.